Welcome to A to Z! To kick off my alphabet series on rogue words, I’m addressing the many magical properties of the words affect and effect. These slippery tricksters can give us all sorts of spelling grief. The most important thing to remember is that affect with an “a” is usually a verb, while effect with an “e” is usually a noun. Let’s look at these most common usages first. 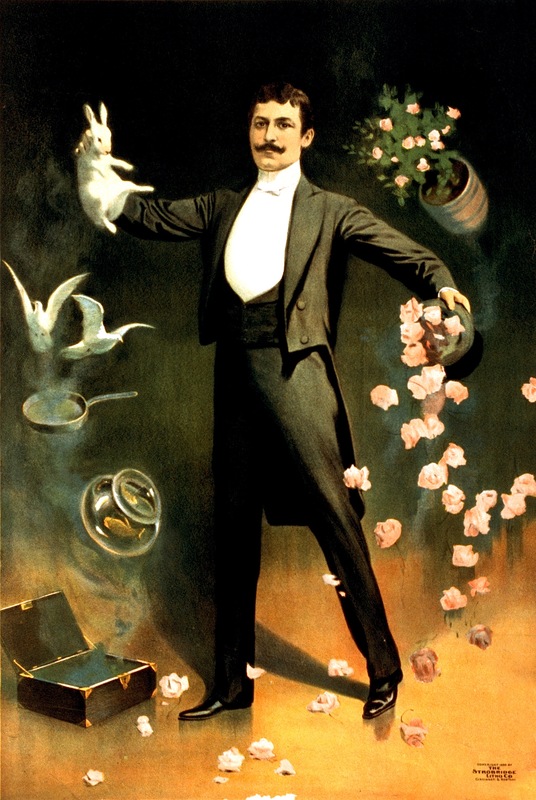 Albert the magician affected an air of confidence as he prepared to cast, but in truth, his insides were trembling. More than anything, Albert wanted his spell to affect the red-haired woman in the front row. He yearned to hear her declare her undying love for him. There are three main ways that effect is used as a noun. One usage is the bizarre term “personal effects” to describe the things you keep in your purse or pockets. Esmeralda wondered why the magician had needed one of her personal effects to perform a simple stage illusion. As the magician waved his wand and chanted some words, Esmeralda waited for all the sound and light effects to kick in. Nothing happened. Albert looked expectantly at the woman to see the effect of his spell. Let’s look at the unusual case where affect is a noun. In psychology, affect is used to describe someone’s emotional state. The red-haired woman’s affect had changed, but it wasn’t lustful happiness — more like terminal boredom. Albert was dismayed to find that his spell had not effected the change he had wanted. Instead, his stage rabbit jumped up and began to compulsively nibble on his ear. Affect is almost always a verb, which has an effect that is a noun. To remember the rest, just think about Albert and Esmeralda. And don’t give strange magicians any of your personal effects. Since I am addressing affect vs. effect, it makes sense for me to talk about address, which can be difficult to spell. Think of add + dress – the first has two “d”s, and the second has two “s”s. Put them together and you have address. Esmeralda was not going to add that magician’s name to her address book. Not only was he an awful magician — he was terribly dressed. And that rabbit accessory sure wasn’t helping. This post is dedicated to Nicole de Courval and Olivia Berrier. ← A to Z Theme Reveal Day! This will be very useful. Effect and affect is probably one of the most difficult that people face. Thanks, Maryann. Yes, affect and effect is a tough one for a lot of people. So many meanings! I need to bookmark this. I have the worst time with these two words! LOL yes they are, aren’t they? 🙂 Glad it was helpful for you! I love this! I know the commonly used forms of the words, but stumble on the others. Thanks for the explanation! Thanks, IC. You’re welcome! I’m happy it was helpful for you. Alakazam 🙂 Great article. Thanks for sharing this. 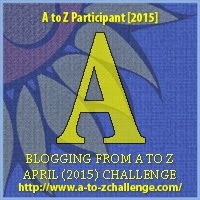 I’m looking forward to your A-to-Z posts this month! I hope they don’t disappear 🙂 This is my first year to participate in A-to-Z. If you are so inclined, feel free to drop by and leave a thought or two. Hi Shawn, I will be sure to stop by…lots of places to visit, and you are definitely on my list! Never in a million years would I have thought of grammar as a bog theme! I teach English- Literature… but grammar seems to be my necessary evil. I hope to get over that fact as I think about my writing possibilities. I greatly enjoyed your first installment! We will tag-team at this new thing! Excellent discussion of effect vs. affect. This will serve as a great resource for those who need a reminder. What a great choice for an A to Z series. I am good with words and have a huge vocabulary, and I still have trouble with this one. Awesome theme, btw. “Rogue Words” is catchy and memorable. LOL – I admit that I am someone who says “my stuff”… sometimes you know a lot of words, but it doesn’t mean you actually get around to using them. 😉 Thanks for stopping by! This is a fascinating subject. Thanks for explaining it. Hi Spacerguy, thanks for stopping by and reading my post! I’m glad you liked it. thank you Sue for that educative & amusing post! Albert & Esmeralda will be great tools to remember the verb & the noun. Looking forward your “blindside” of boring “b”! I love your theme. And a very timely post since I was just discussing the difference in these very words late last week, to the EN101 students I teach at a local community college. I will have to send them to this blog as a resource (so they, hopefully, never forget the difference!) Looking forward to the rest of your posts this month in the challenge. Happy blogging! I hope I always get this right! Loved the magic way you did it. Whenever I’m writing and I have effect or affect, I always have to pause and make sure I’m using the right one. Always throws me off for a second. Hi Patricia! You’re definitely not alone. It’s crazy how many look-alike words there are in the English language! Affect and effect used to give me such trouble when I was younger until I learned about the verb vs noun trick. Looking forward to the rest of the alphabet! Those are probably two of the words I confuse the most. Helpful post! Great post! Can’t wait to see what you have in store for the rest of the month! Thanks, Samantha! I’m happy you liked it. I’m not sure you should thank me in that case, N J! 😉 The more I learn about grammar and style, the more I find out that hardly anything is black and white. It’s an adventure! I am a retired science teacher and have spent my time correcting the use of affect and effect. Onward to the blindside tomorrow. Take care. Well done! When I’m about to use “affect” or “effect,” I always have to stop and think to make sure I get the correct one. Thinking about the stage magician’s act will help me remember. That’s great to hear! Thanks for reading and commenting, I really appreciate it. Interestingly, “address” in Swedish is spelled “adress” so, yeah, I get confused there sometimes too. Thanks, Sara! I didn’t know “address” has only one D in Swedish – thanks for sharing that tidbit. It is tricky, but it gets my goat when people get it wrong, I can’t help it! I can’t think of “effect” as a verb being used in anything other than “effect a change”. Which is quite odd, really. Hi, Nick! I think we all have our different blind spots when it comes to words. I don’t have trouble with affect and effect, but I certainly do with some others! Oooo~! That last one was definitely the tricky widget! I’ve always just remembered it as “…in order to effect global climate change..” Though sometimes my fingers type whatever they want, regardless of what my brain knows about the e’s and a’s of effect and affect. Great first post! Hee, hee. I certainly will not give any personal effects to any magicians. I usually remember the two words by the noun/verb distinction, but there are the exceptions, and now I have a great way to remember those, too. 🙂 Thanks! An excellent guide! I think the verb form of ‘effect’ is one of the least known and used, but it’s a great word. Hi, Kaitlin! Thanks for commenting – I’m happy you liked the post. Yes, effect is a very elegant way of expressing that action. Sadly underused! Welcome! That’s great to hear, thank you very much! Wherever u go, I Follow… several parsecs behind it seems! No worries, Brad! I have been busy, yes – as soon as I can find the time I will be sure to come by your way and see what you’ve been up to. 🙂 Glad you liked the post, and that you’ve already mastered affect and effect!